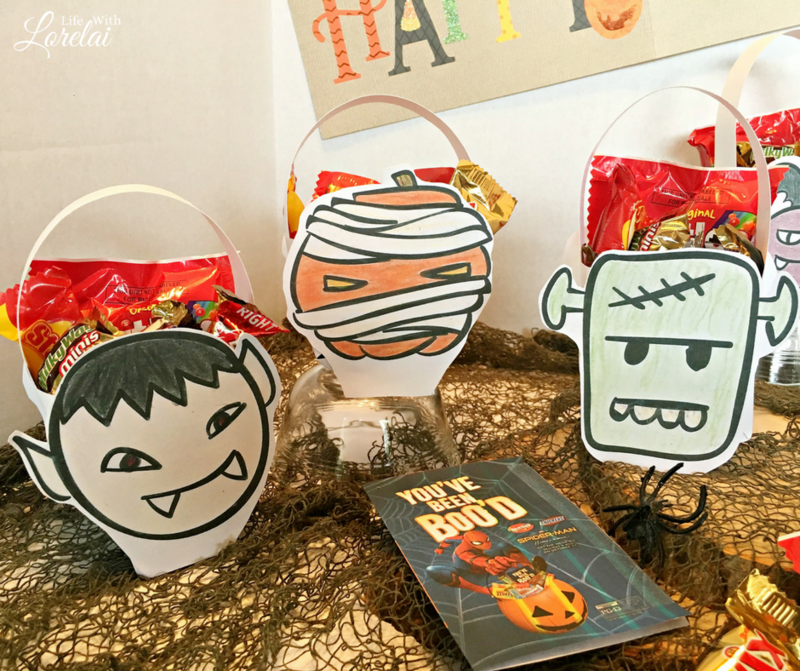 BOO it forward with these DIY Halloween Candy Baskets in eight fun Halloween-themed shapes. 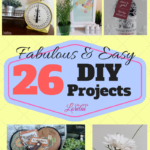 Craft your own using the free printables. 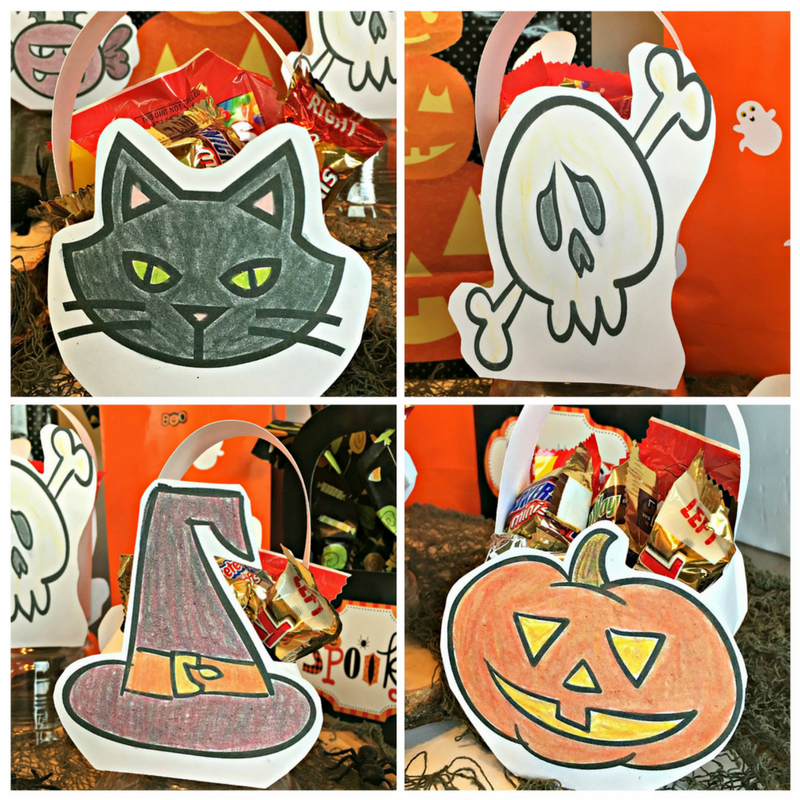 DIY Craft To BOO It Forward with FREE Printables! Hooray, it’s October! I love Halloween, and I am always trying to think of fun things to make it special for those around me. 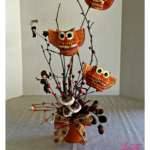 So, today, I am sharing this easy DIY craft that is perfect for spreading some spooky cheer! Let’s do Some Friendly Neighborhood BOO’ing. We always love to BOO the neighborhood kids, but we also plan to BOO Luke’s 86-year-old dad and his friends down at the donut shop. They have been meeting there each morning for decades. 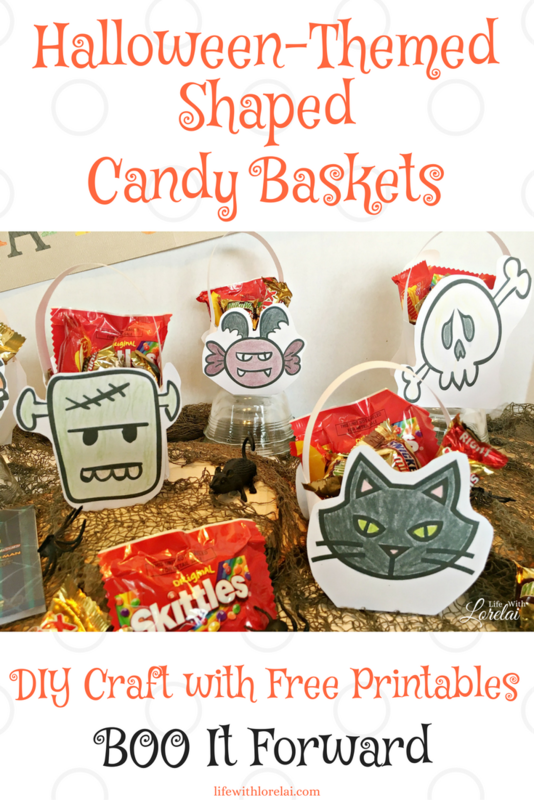 These Halloween candy baskets are great for a classroom party, any group get-together, you name it. BOO your local fire department, police station, or hospital. BOO It Forward and get everyone in the Halloween spirit. 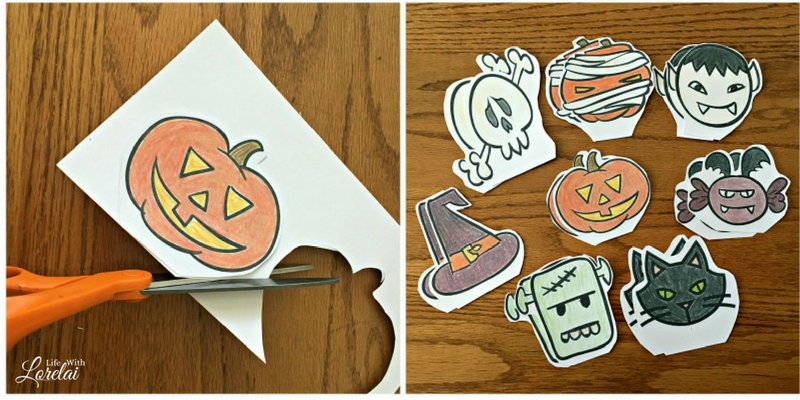 The FREE Printables make them a snap and come in pre-colored or color-your-own options. It’s easy to purchase the MARS® Variety bag for your BOO Kit. Just hover over the shoppable image above to click through to Walmart.com and buy it! Now, what good would a candy basket be without some candy to fill it? 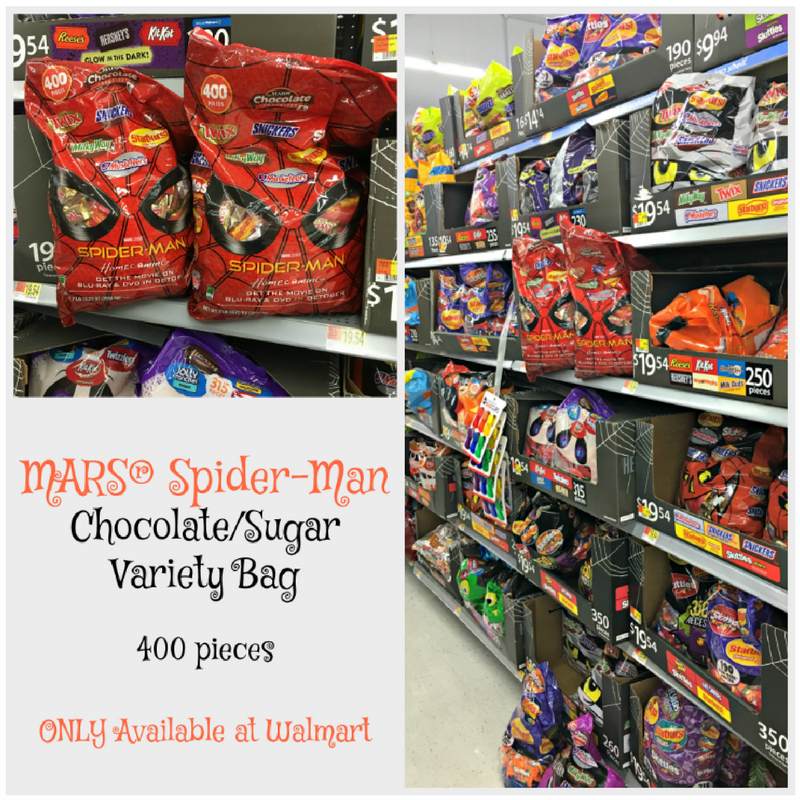 My choice is the 400 piece MARS® Spider-Man Chocolate/Sugar Variety Bag! This bag is loaded with SNICKERS®, Skittles®, TWIX®, MILKY WAY®, Starburst®, and 3 MUSKETEERS® — can we all say, YUM?! You can find some cute stickers, tissue paper, bags, and cards from American Greetings too. 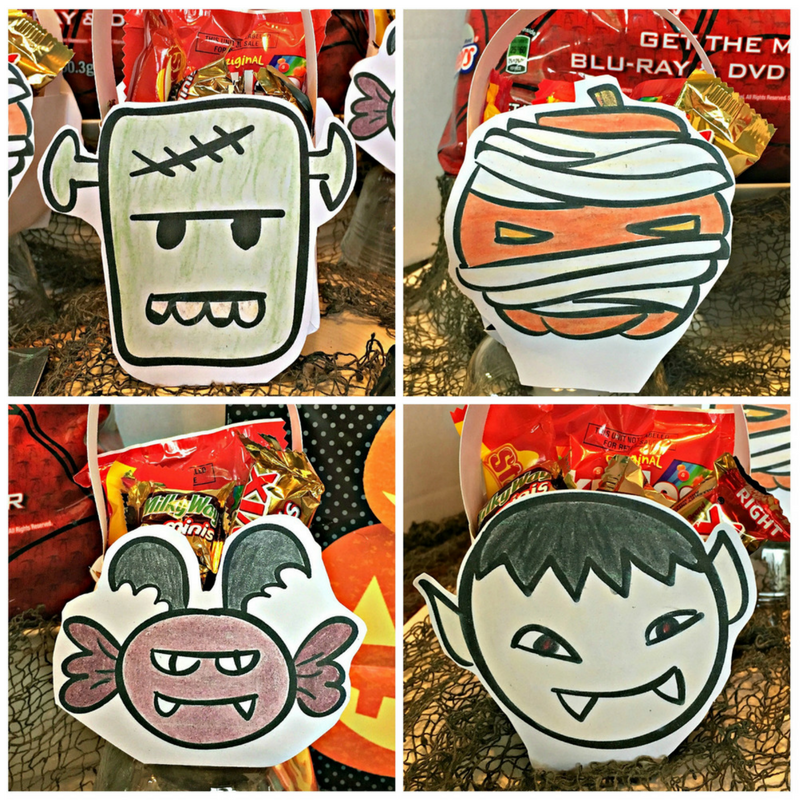 Print your choice of pre-colored or color-your-own Halloween shapes. Cut out the shapes leaving a flat edge at the bottom, and an edging around the shape. These shapes will be the sides of your candy basket. Measure and mark cardstock. You will need two pieces cut for each basket — one for the basket (3-1/2 inches x 7 inches) and one for the handle (7 inches x 1 inch). 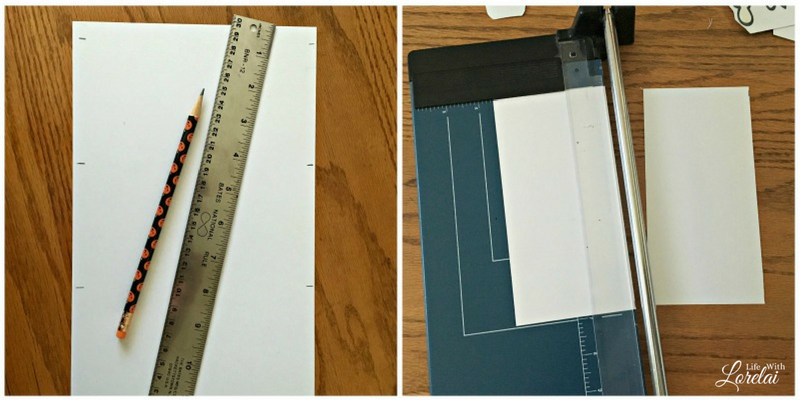 Cut the cardstock for all the baskets you will be making. On the cut out Basket card stock, measure in 1/2 inch from the long edges on each side. Draw a line with a pencil, then score each pencil line with a bone folder or other flat-edge. Fold the scored long edges inward. 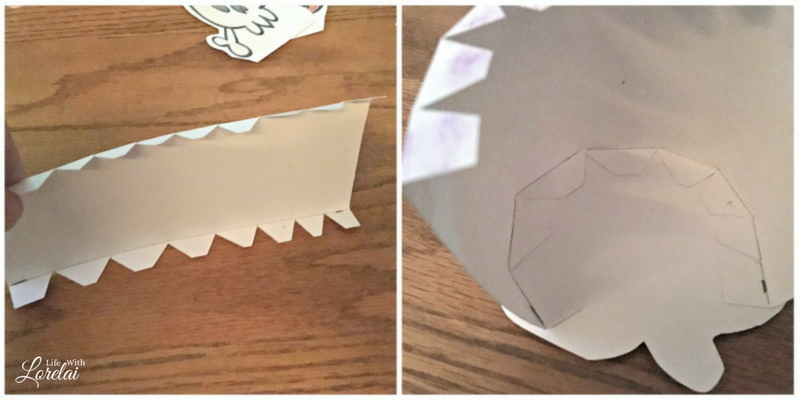 Cut notches into the 1/2 inch folded edges to make it easier to fit the basket onto the shapes. 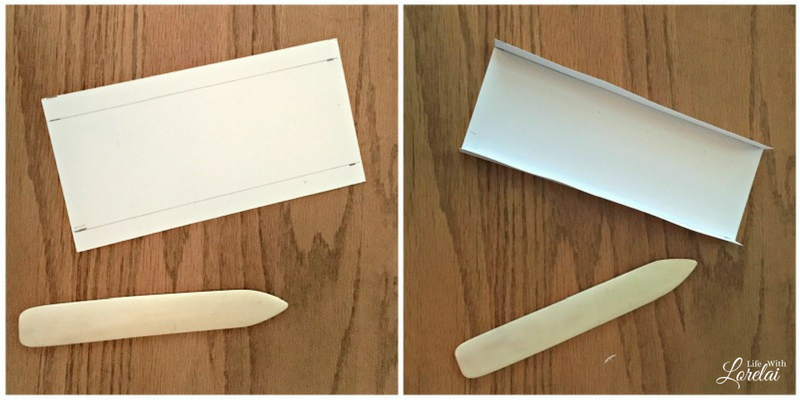 Lay the notched basket cardstock flat and place glue on notches, both edges. Fold the notches to a right angle so the glued sides are on the outside of the basket. Attached glued notches to a pair of matching Halloween-themed shapes in a U-type shape, so there is an opening at the top. You will be able to move and adjust the notches to fit each shape as needed. Make sure that your shapes are turned the same way with the flat edge at the bottom. Dab glue on both ends of the handle, and attach to the top inside of the basket cardstock. Let glue set. Print a BOO Card for your basket. Voila! You now have a spooktacular Halloween Candy Basket! Now, throw a party or BOO a friend and share your Halloween spirit. Don’t forget you can get the Spider-Man Homecoming DVD & Blu-Ray on October 17th at Walmart. Want to send some Halloween spirit to loved ones across the country? No problem, Create your own BOO Kit online and have it sent to them. Then, they can BOO It Forward too! You can only find this product at Walmart! Follow @snickers, @skittles, and @AmericanGreetings on Facebook. 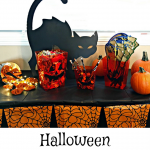 Enjoy making the Halloween Candy Baskets! You may like these other Halloween DIY craft ideas: Haunted Mirror – An Eerie Halloween DIY Decor and DIY Creepy Spider Candles. 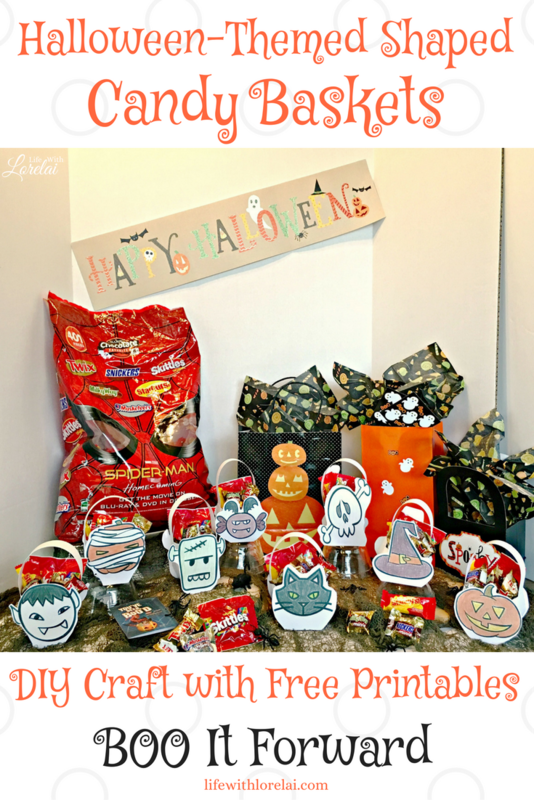 Your homemade Halloween kits are totally adorable for the upcoming holiday! I love all the little things you put in the basket. Yummers! Mmm… what’s not to love about MARS candies, right?! 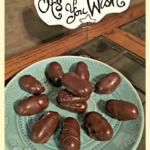 Booing it forward is such a fun idea. Who wouldn’t love to come home to such a thoughtful treat on their doorstep? I’ve esen this going around. no one in our neighborhood has really gotten into it yet! 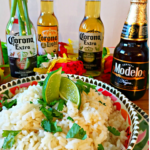 These are perfect for a party! I absolutely love the black cats. So fun! Such fun idea. We really need to do this with some of our neighbors now that we finally moved into a neighborhood and out of the country! This looks like a lot of fun. I can’t wait to try it with my kiddos. I love Halloween too! And this is such a fun project to get into the season. I will share this post with my sister and cousins who still have young kids. Mine are grown and way past the age of donning costumes and going trick or treating. Your baskets look great though, but I am more interested in the contents. LOL. I love the whole Boo it forward. I love Mars candy too. It is the best! I am going to make a few of these to give the home that my 93 year old father lives in. They will love it. What a sweet idea, Pam! 🙂 Have fun BOO’ing It Forward. Hey Lorelai! I nominated you for the Blogger Recognition Award! Here is the link for more info! This looks like such a cute and fun idea! It is a nice way to get the kids involved.